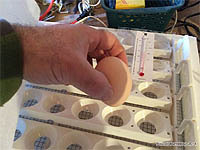 For incubator without automatic egg turner, turn the eggs on the grid three times a day. 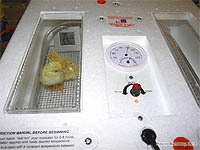 In the case of an incubator equipped with an automatic egg turner, insert the pointed end of the egg down in the tray of the egg turner. 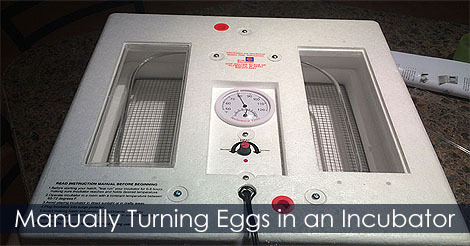 Learn how to manually turn the eggs in your automatic egg incubator or use an automatic egg turner.